Kolkata: Foreign institutional investors (FIIs) have been loading up on shares of the Bombay Stock Exchange Ltd (BSE), driving the price up to Rs300 from around Rs180 apiece in the last six months, as the bourse prepares to list itself. Some foreign funds are willing to pay up to Rs350 a share if they get a large chunk at one go, according to the head of a private equity (PE) firm that recently acquired a substantial stake in the exchange. “Only 7-8% of BSE’s (102.9 million) shares are currently available for sale," he said. 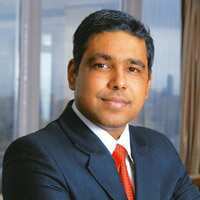 “Investors expect BSE to list its shares and that shouldn’t take long." Kannan, however, said there was “no clarity" on regulations governing listing of shares of stock exchanges, and so he couldn’t immediately indicate a time frame. “We are receiving a lot of orders from high networth individuals who are buying BSE shares, expecting listing to result in substantial capital gains," said Narottam Dharawat, a Mumbai-based trader of illiquid shares, who said BSE’s shares were currently trading at Rs310-325 apiece. Those selling BSE’s shares are embattled foreign institutions and brokers who have shut shop or need cash immediately, according to the PE firm official quoted earlier. Some government-owned Indian banks are also selling BSE shares through auctions, he added. Under demutualization, or separation of trading rights and ownership, the exchange sold 51% of its shares to investors who had no trading interest, and issued 10,000 shares to each of its 700-odd brokers. BSE completed demutualization in May 2007 by placing shares with 21 investors. The ownership of trading members was pared to 49%, but BSE says they held 47.42% of its shares at the end of October. In February-March 2007, Deutsche Börse AG and Singapore Exchange Ltd bought 4.98% each of BSE’s shares. They paid Rs189 crore each for the stake, or Rs5,200 a share, valuing the bourse at Rs3,780 crore. BSE has since issued 12 bonus shares for each held, and the expansion of capital resulted in Deutsche Börse and Singapore Exchange’s acquisition price going down to Rs400 a share. A little over 62% of BSE’s shares are widely held. Among the key Indian shareholders are firms such as Bajaj Holdings and Investment Ltd—a firm controlled by industrialist Rahul Bajaj—which owns 2.94%, Infosys Technologies Ltd’s CEO and MD S. Gopalakrishnan, who owns 1.04% and Bennett, Coleman and Co. Ltd—the publishers of The Times of India and The Economic Times newspapers—which owns 1.04%. “BSE currently has around Rs2,000 crore in cash reserves, which translates into cash per share of at least Rs190," said the PE firm official. Investors are also impressed with the new initiatives of the management, he added. “For instance, from January, settlement in BSE’s derivatives segment will take place on the middle Thursday of every month instead of the last one," he said. This is “disruptive thinking. It’s a nice attempt to infuse life into its derivatives segment". 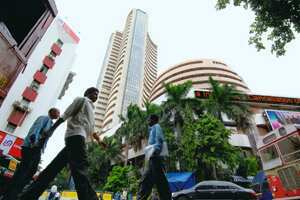 In the quarter ended 30 September, BSE posted a net profit of Rs55.48 on revenue of Rs140.48 crore. In the six months till September, BSE’s net profit at Rs112.75 crore on revenue of Rs256.2 crore was a tad lower than last year. “Though net profit for the quarter and the first half (of fiscal 2010) was lower than last year, it was largely because BSE is investing in technology, which is crucial for stock exchanges," said the PE firm official.